Martha Vivian Lee was born May 13, 1908,and raised at Ray City, GA. She was the daughter of William D. “Bill” Lee and Mollie Bell Clements. Her father, rented a farm on one of the settlement roads at Ray City. Vivian Lee graduated from the Junior College scientific program at Norman Institute, Norman Park, GA. The June 5, 1927 edition of the Atlanta Constitution (full transcript below) reported the ceremonies. The college celebrated Commencement with four days of activities, beginning Friday evening, with a program presented by the grammar school graduates, followed by the inter-society contest in piano, reading and declamation. On Saturday night, the senior play was presented to a large audience. Dr. H.F. Loomis, pastor of the First Baptist church of Daytona Beach, FL, delivered the baccalaureate sermon. On Monday morning, the Bessie Tift society and the Excelsior society debated the subject, “Resolved, that President Coolidge was justified in vetoing the McNary-Haugen farm relief bill.” L.H. Browing, president of Norman Institute, delivered the diplomas to the graduates. Rev. G.W. Christopher, Baptist pastor at Whigham, Ga., made the literary address to the graduates of the junior college, the high school and the commercial department, and Frank Clark, county school superintendent, addressed the alumni. Mr. Bill Lee and daughter, Miss Vivian, are visiting relatives in Tampa, Fla. In the census of 1930, she was enumerated in her parents’ household. The occupation data of the census shows that she found employment in a law office as a stenographer . Later, Vivian Lee married Thomas Pate Exum and lived in Lakeland, GA.
Vivian Lee Exum died 21 Nov 2001. ” The commencement program of Norman Institute came to a close Monday morning with the delivery of diplomas. Rev. G.W. Christopher, Baptist pastor at Whigham, Ga., made the literary address to the graduates of the junior college, the high school and the commercial department. The inter-society contest in piano, reading and declamation was held Friday night. The winning contestants were: Piano, Frances Sims, Savannah, Ga.; reading, Miss Maude Hendley, Bainbridge, Ga., Excelsior society; Raymond Harvey, Pine View, Ga., Excelsior Society. Preceding the contest Friday night the grammar school graduates presented an attractive program under the supervision of Mrs. J.F. Morris. 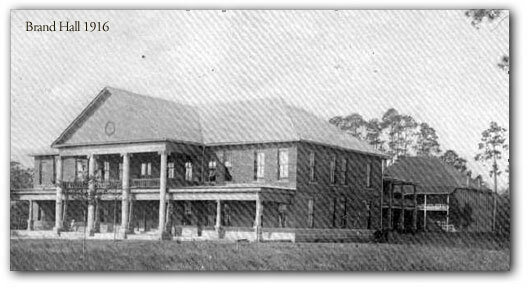 Those receiving certificates of graduation from the grammar school were: Sarah Gawin, Philadelphia; Jack Jones, Jacksonville, Fla.; Walter Jones, Tampa, Fla.; Le Roy Post, Holly Hill, Fla.; Luculle Trutt, Thomasville, Ga.; Judson Wilder, Lakeland, Fla.; A.D. Williams, Jr., valedictorian, Tampa, Florida. The Senior Play was presented Saturday night to a large audience. D. H.F. Loomis, pastor of the First Baptist church of Daytona Beach, Fla., preached the baccalaureate sermon. Junior College (scientific) – Hughes Browning, Norman Park, Ga.; Benton Fillingim, Cuthbert, Ga.; Vivian Lee, Ray City, Ga.; Claude Reynolds, Norman Park, Ga.; Harvey Simpson, Hahira, Ga.
Normal – George Elton Clark, Norman Park, Ga.; Elois Hoffman, Faceville, Ga.
High School – (Classical) Mildred Callan, Norman Park, Ga.; Esther Graham, Barney, Ga.; George Scott, Barney, Ga. (Scientific) Wayne Christopher, Whigham, Ga.; D. Alson Griner, Lennox, Ga.; John Hoffman, Daytona, Fla.; Kathleen Jones, Enigma, Ga.; Edith Lodge, Whigham, Ga.; Stanley Newton, Norman Park, Ga.; Arnold Scruggs, Barney, Ga.; D. Maurice Smith, Cairo, Ga.; Lucy Nell Tompkins, Norman Park, Ga.
Normal – Olis Harrell, Pavo, Ga.; Eloise Overton, Norman Park, Ga.; Louise Parker, Orlando, Fla.
Commercial Department – Lillie Anthony, Vero Beach, Fla.; Lizzie Barrett, Monticello, Fla.; Elnora Brewer, Morgan, Ga.; Anna Mae Browb, Ocalla, Fla.; Charlie Coleman, West Palm Beach, Fla.; Paul Dozier, Damascus, Ga.; Katherine Erwin, Tampa, Fla.; Inez Keerce, Hahira, Ga.; Elizabeth Martin, Knights, Fla.; Mercer Mitcham, Omega, Fla.; Sanders Morgan, Fort Meade, Fla.; Gwuynnie Morgan, Thomas Morgan, Norman Park, Ga.; Ida Moss, Perkins, Ga.; Grace Mugridge, Cairo, Ga.; Elizabeth Murray, Arlington, Ga.; Clarence Watkins, Putman Hall, Fla.; Roy Wlech, Fort Pierce, Fla.; Nada Wills, Norman Park, Ga.
Violin – Elizabeth Martin, Knights, Florida. Previous to the baccalaureate address Monday morning the semi-annual inter-society debate took place, the subject being, “Resolved, that President Coolidge was justified in vetoing the McNary-Haugen farm relief bill.” The affirmative was presented by J. A. Thompson and George Scott of the Bessie Tift society, and the negative was defended by Harry Simpson and Claude Reynolds of the Excelsior society. The Judges gave the decision to the negative. Frank Clark, county school superintendent, made an address to the alumni which was followed by announcements of some special work done and some work to be undertaken next year. He called attention to the large number of normal diplomas; 21 B.Y.P.U. diplomas; 171 seals on books in Sunday school teachers’ training course; 39 red seals; 27 B.Y.P.U. seals on Pilgrim’s Progress. He also announced that work on the new dormitory for boys will begin at once and will be ready for occupancy by January.